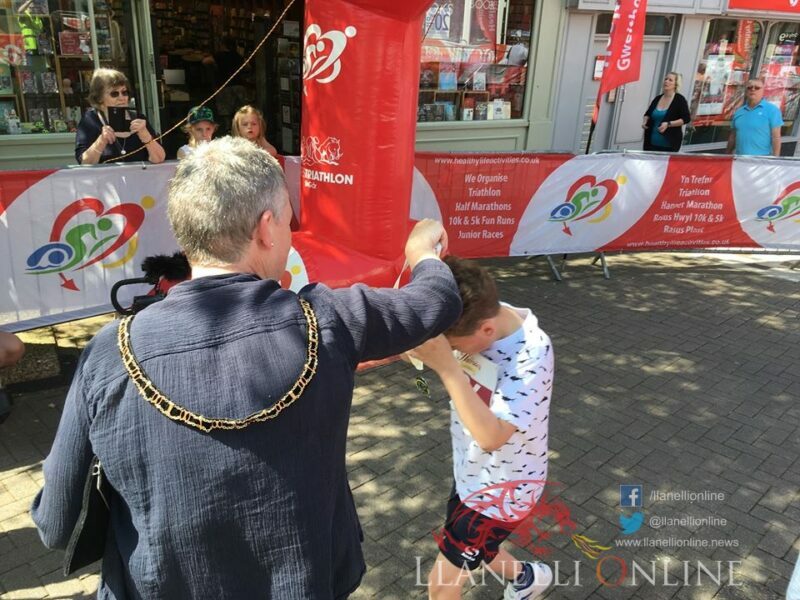 THE 37th Carmarthen Mayor’s Races were held earlier today, Bank Holiday Monday (May 7). 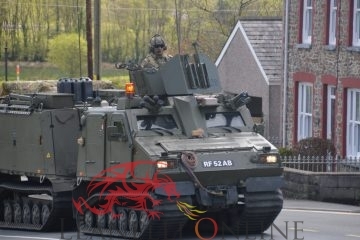 Given it was a holiday it gave an opportunity for the whole family, people of all ages and all abilities to get involved. 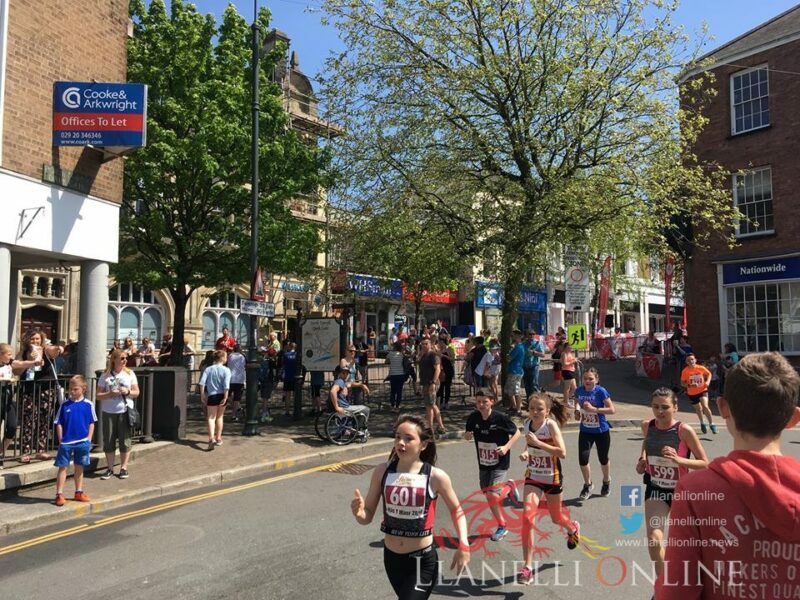 The race took runners through the streets of the town centre on what was possibly one of the warmest days the event has been held, with recorded temperatures in the mid to high teens for most of the day. 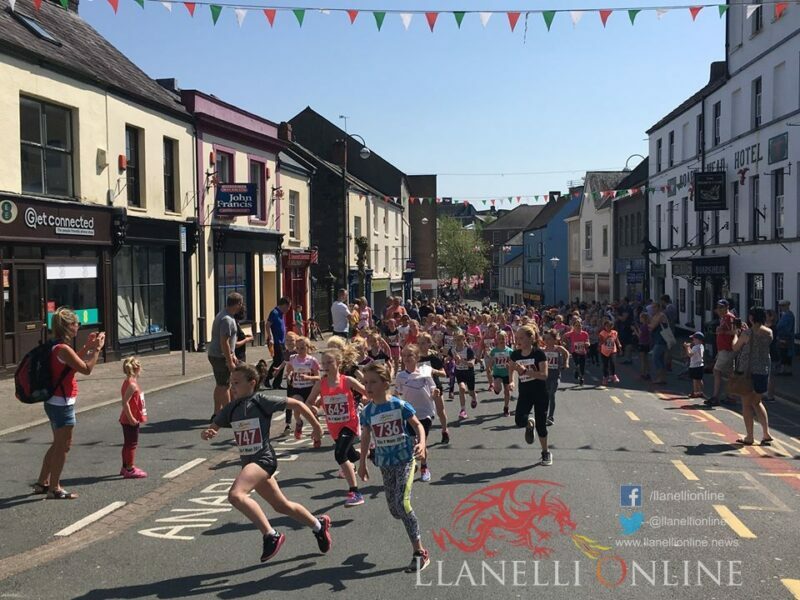 The sunny Bank Holiday conditions attracted runners and spectators alike from all corners of West, South and Mid Wales. 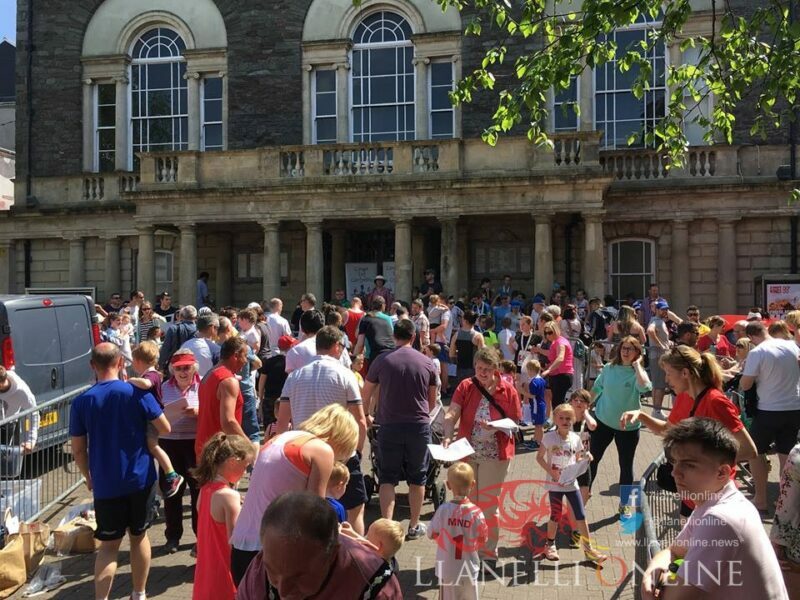 The event saw another bumper turnout ranging in ages from the 2-year-olds to the experienced club runners and over 70’s. 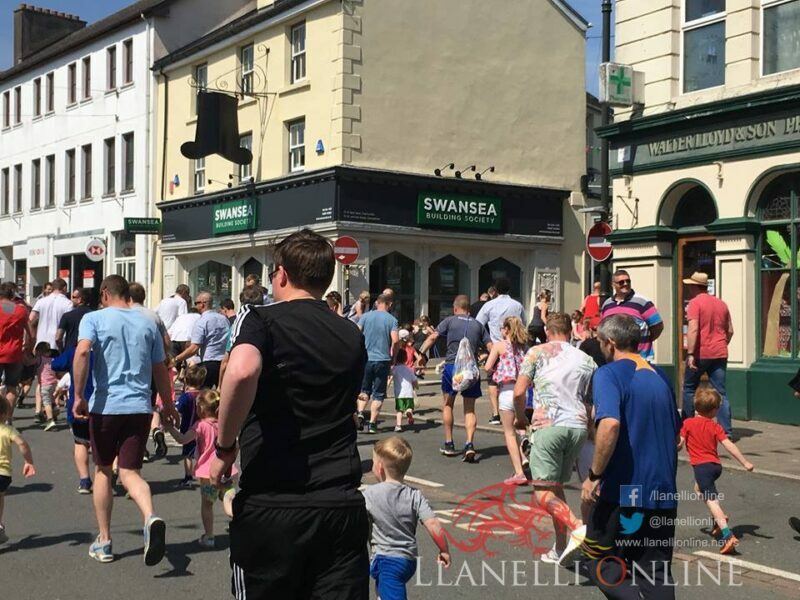 In addition, there were many more hundreds of people who came out to line the streets to encourage those involved in the race. 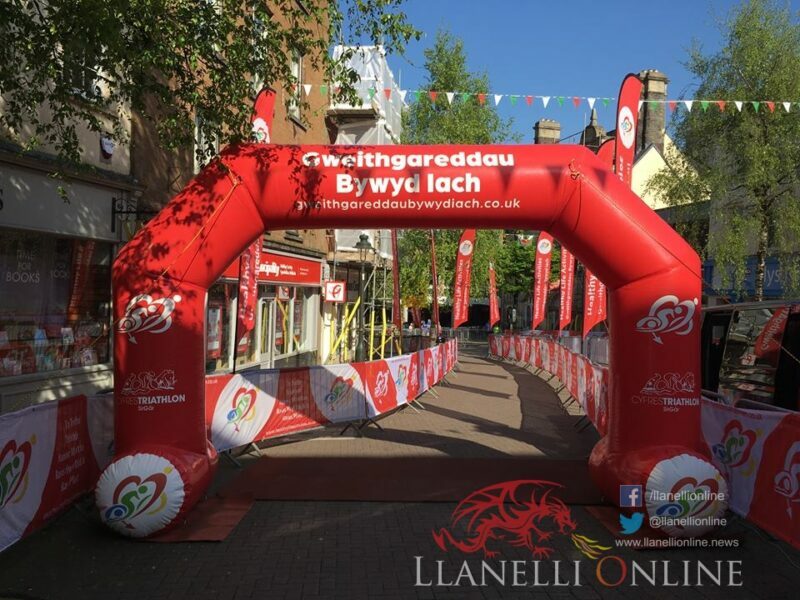 In the period 1982-2006 there were 25 Welsh road race championships held in conjunction within the Mayor’s Race ranging from 5K up to the 10 mile and half marathon championship. 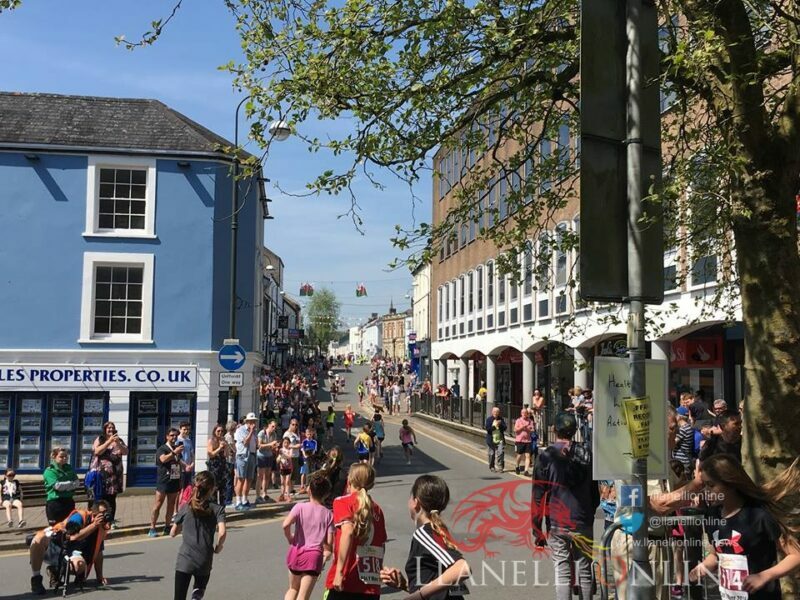 The beauty of the Carmarthen Mayor’s Race Fun Run is that it takes place in the heart of the town centre, affording spectators a great opportunity to cheer on the runners. 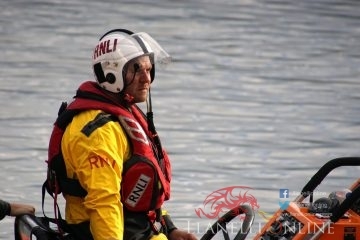 Race commentator Robert Lloyd had the perfect view to commentate and name the athletes as the race progressed. 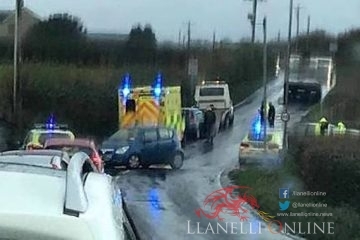 The event raised thousands of pounds for several charities with many local groups and organisations benefiting. 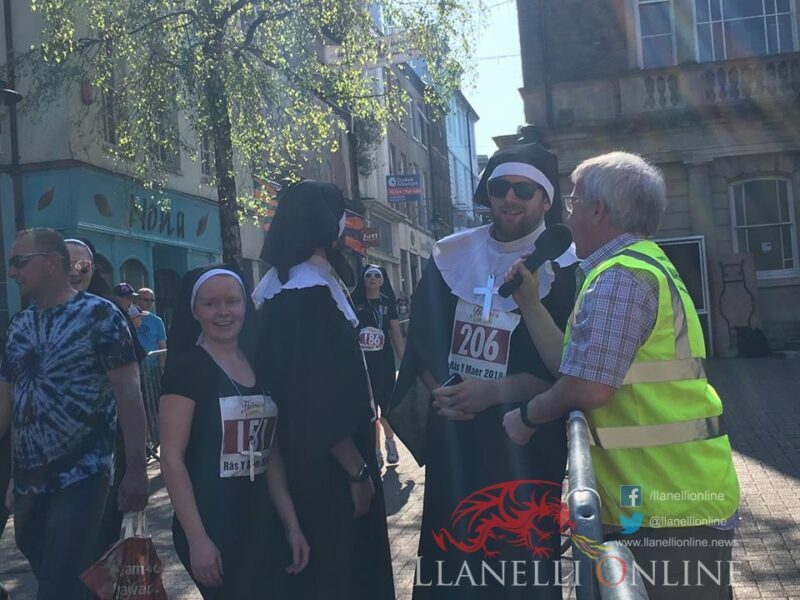 Around 700 runners took part with some entering in fancy dress. 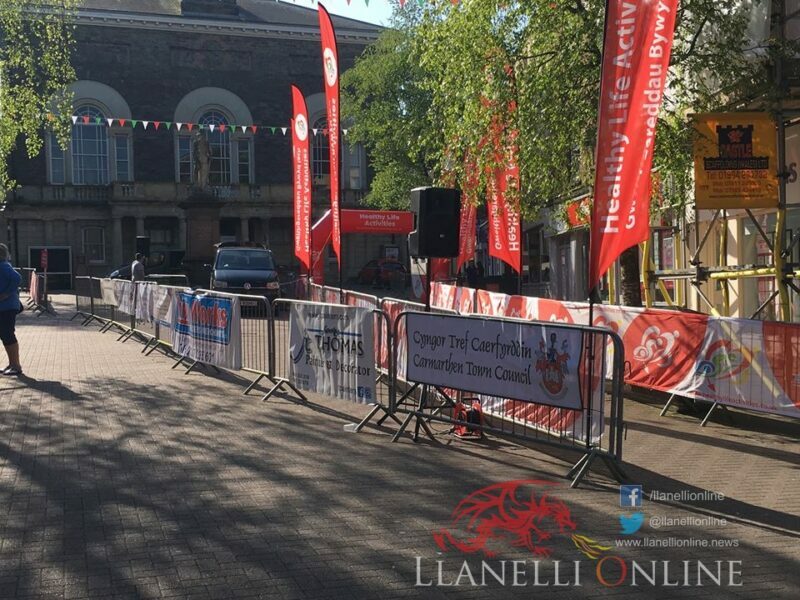 As in previous years, the day started with the senior 5k fun run at 10.00am. 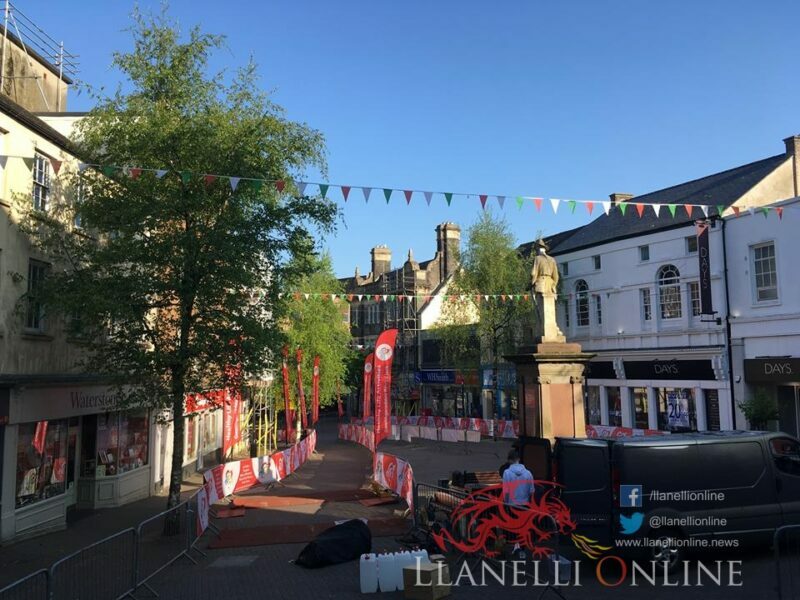 Runners started opposite the Carmarthen bus station and ran along the town’s roads a total of three times before the grand stand finish up at Guildhall square. The senior 5K times were recorded with chip timing with official times posted online. 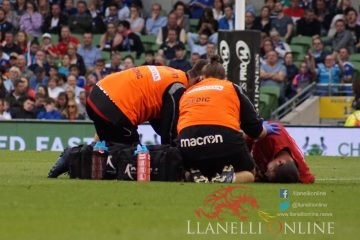 All athletes were able to get their own individual time once they crossed the finishing line. 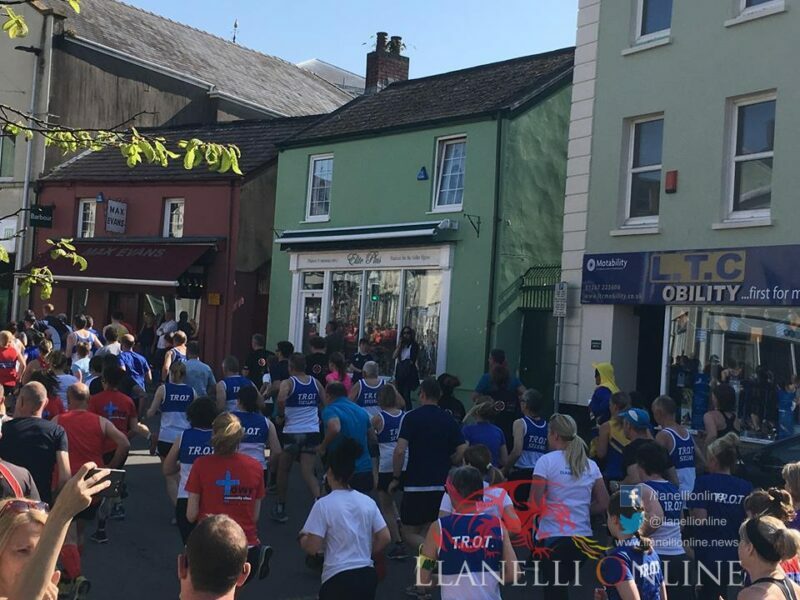 Hywel Dda Diabetes, Sir Gar Endoscopy, Towy Community Church, Pembrokeshire Harriers, TROTS, Carmarthen Harriers, Llanelli AC, Amman Valley Harriers, Swansea Harriers, Run4All Neath, Let’s Run Carmarthen and Port Talbot Harriers were among the many clubs and charities being represented. 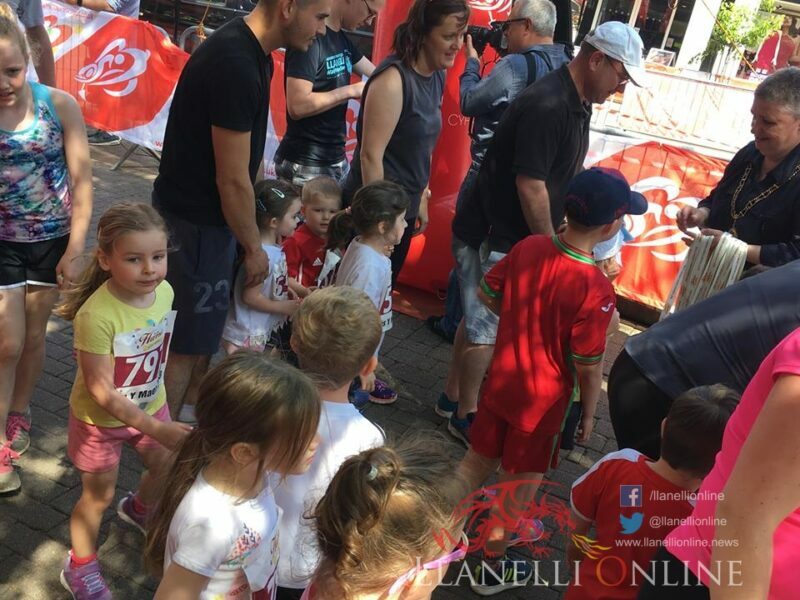 By 11am a series of junior races began with competitors of all ages taking part. 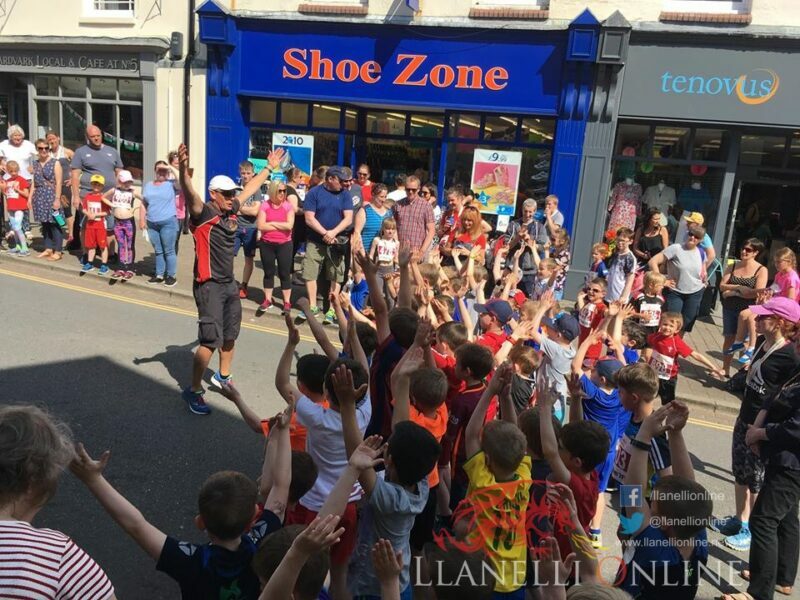 The first race was for the boys and girls Year 1 & 2’s, followed by Year 3 & 4, Years 5 & 6, Years 7 & 8 finishing off with a race for the nursery and reception children at 12.45pm. 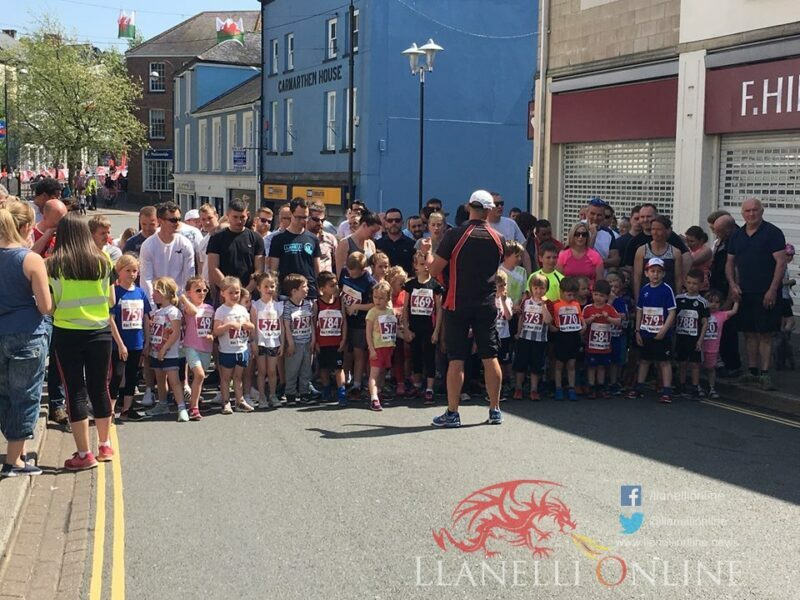 The smaller children were able to run with family and friends. 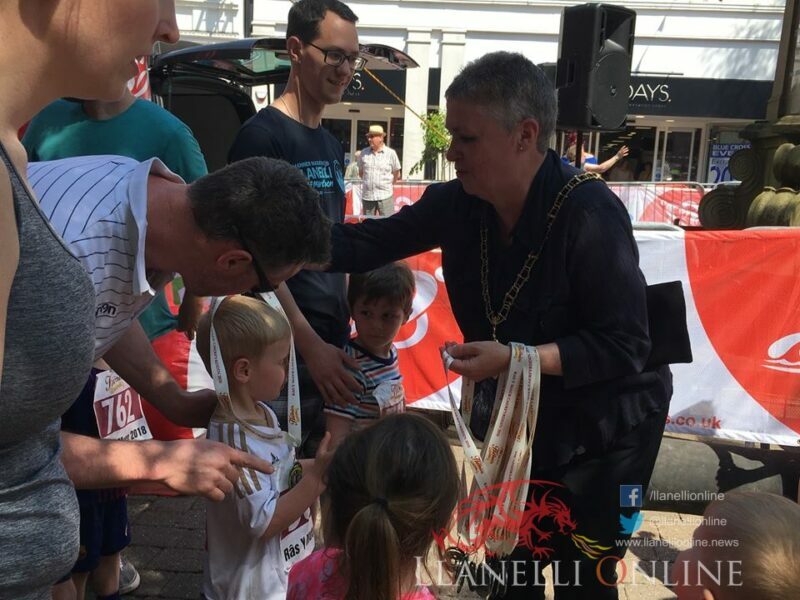 The Mayor of Carmarthen Alun Lenny was on hand to start all the races and present medals and trophies to all runners taking part. 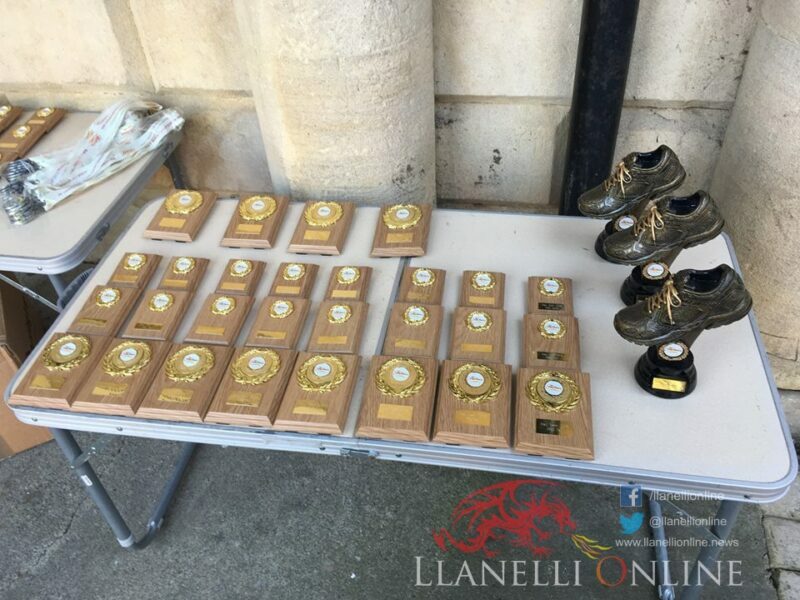 Presentation of the trophies were made formally across two award ceremonies on the gantry where parents, clubmates and friends watched on as all those who finished received their very own finisher’s medal from the mayor and Mrs Ann Lenny, Carmarthen Town Sheriff Cllr Phil Grice, Cllr Emlyn Schiavone and the Carmarthen Town Deputy Mayor. 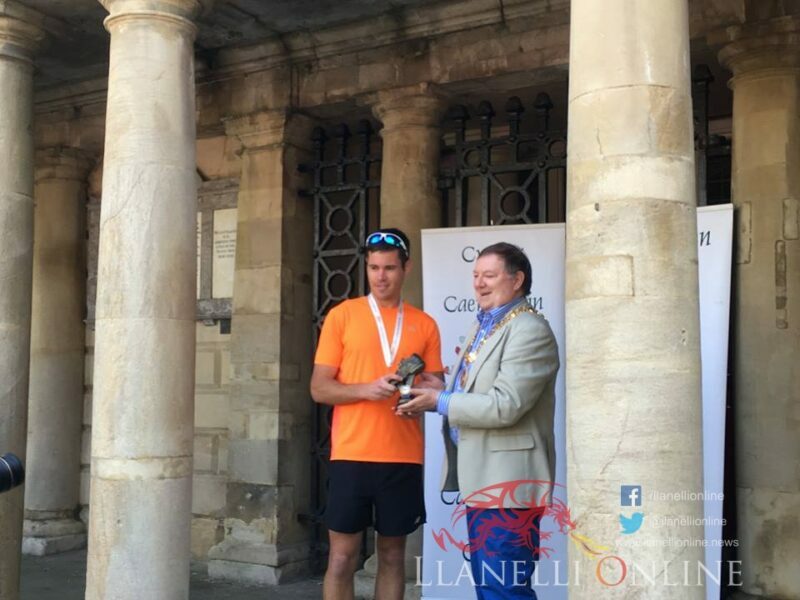 In a summary of the results, the opening 5K event was won by Rob Davies of Amman Valley Harriers in a time of 17 minutes 15 seconds. 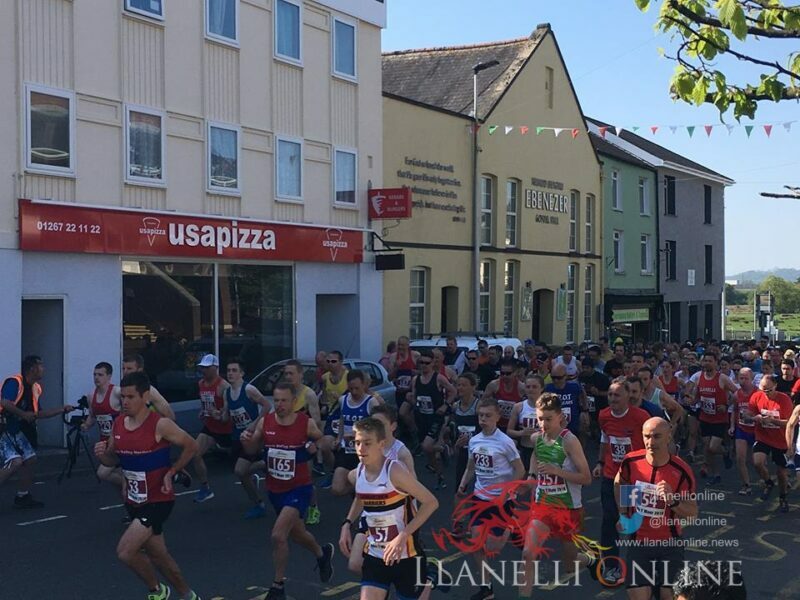 He was followed in by Marc Davies of Swansea Harriers (17:53) and Liam Edwards from Carmarthen Harriers (18:15) to complete the top three. 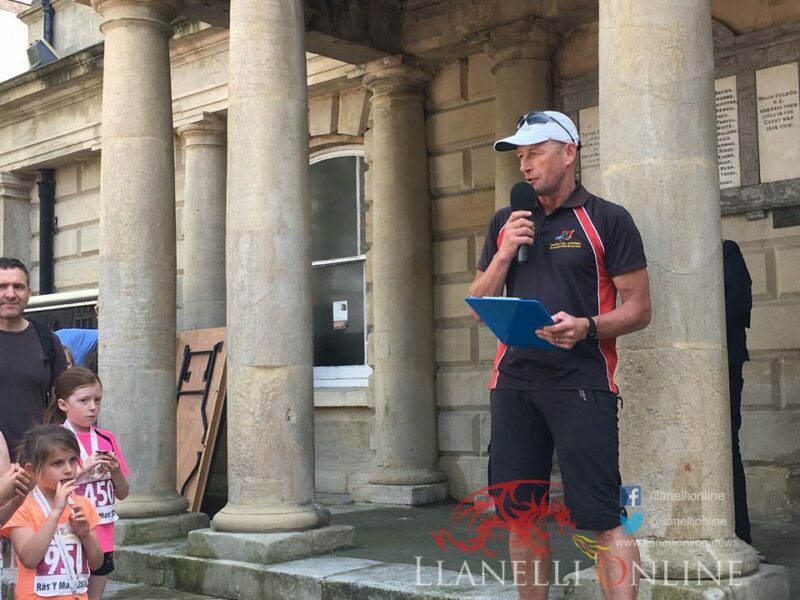 The women’s overall champion was local Harrier Wendy Price who took another victory on the road in a time of 20:32. 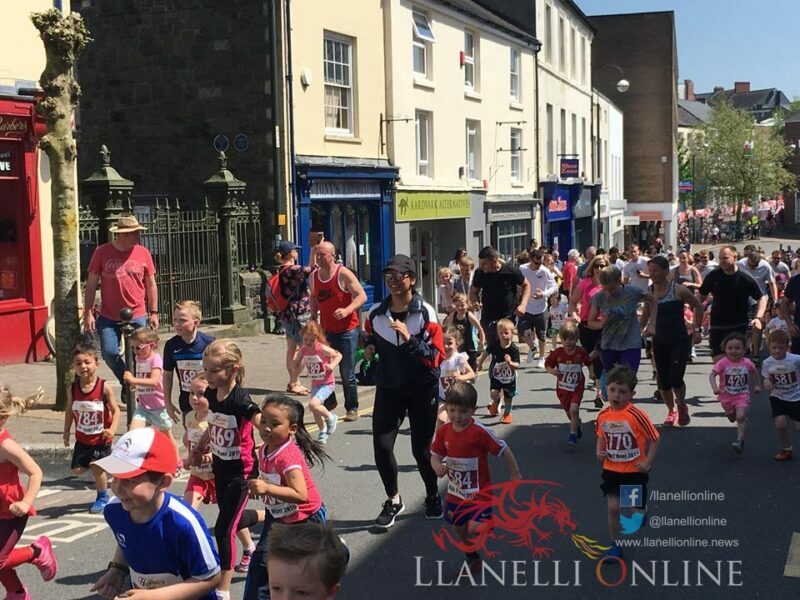 Wendy was followed by Carmarthen middle distance runner Daisy Thompson (20:59) and Chloe Conelly (22:04). 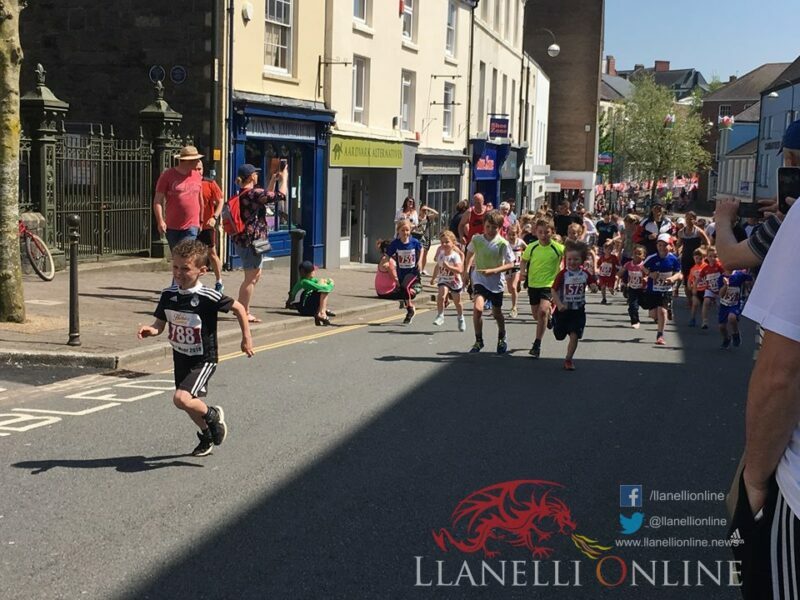 In the children’s age groups, Seren Bowen, Gwilym Rees, Libby Hale, Llion Davies, Liam Upton-Boorman, Amy Tucker and Frank Morgan were victorious and came out on top in their respective categories. 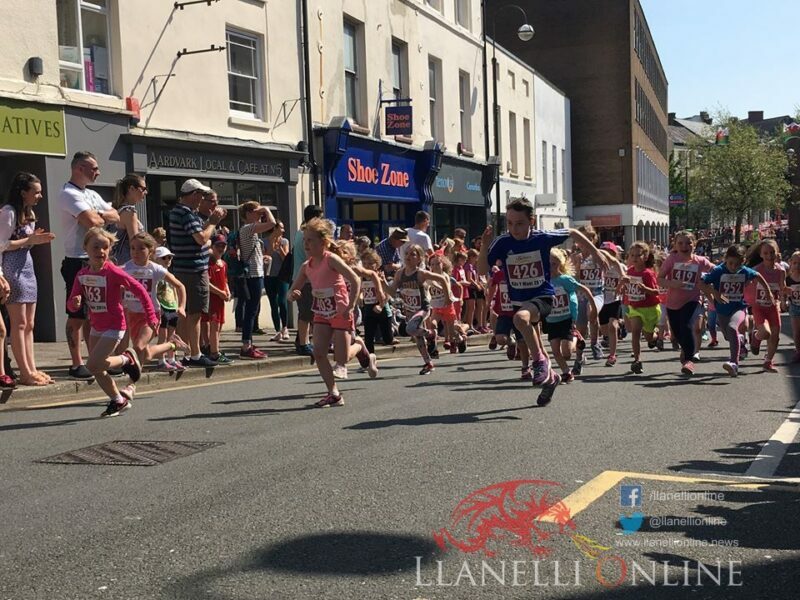 Carys Wood and Mared Jones were joint first in the year 5 and 6 girls in a photo finish. This year’s event sponsors featured: Charles B Sams Electrical, G D Harries & Sons LTD, Stiwdiobox, Carmarthen Rotary Club, Merlins Walk Shopping Centre, St Catherine’s Walk, Healthy Life Activities, Carmarthen Journal, Jody Thomas Painter and Decorator, Mark Hopley Heating Services, Security 4 Wales, Mayor of Carmarthen Charity Appeals Committee, WPS Insurance Brokers, Spine & Sports Physio, Carl Morgan Building Surveyor, Towy Works LTD, Bowen & Weaving LTD, Robert Lloyd and Diogelwch Myrddin Security. 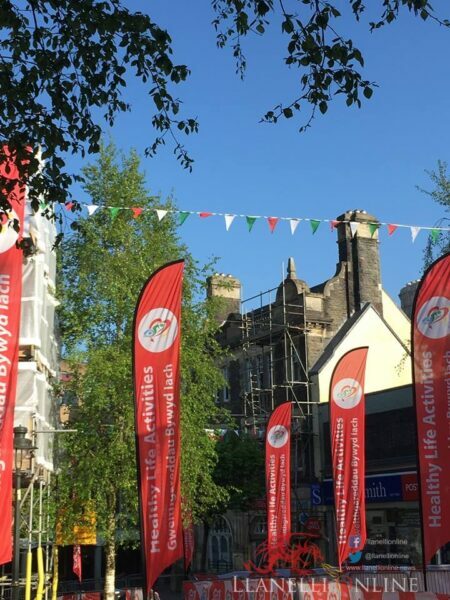 A big thanks again to Noelwyn Daniel (Healthy Life Activities) and Carmarthen Town Council who worked tirelessly to get everything ready along with all the volunteers, marshals and staff from Carmarthen Town Council. 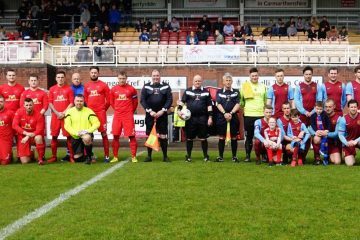 The team look forward to seeing you all again in 2019.